Dave and I like to get together with Eric and Bev for a meal at least once every couple of months. The Sunday before we left for the UK we met at Avontuur. 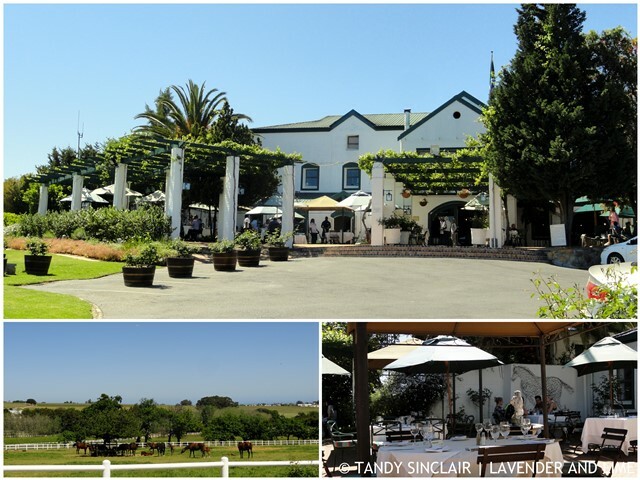 Situated on a wine and horse estate just outside of Somerset West, this is a great venue for lunch. Eric and Bev were meant to arrive back from Mauritius on the Saturday night, but their flight was delayed. Dave and I arrived on time for our meal to secure our table. We sat outside, let Thandi, our waitress, know that they would be late, and took in the amazing view. It was a very hot day and the umbrella had to be moved several times to keep us in the shade. By the time Eric and Bev arrived, many of the daily specials had been sold out. This is a good indication that everything is fresh. It was not surprising as the restaurant was full. I thought it was too hot for a heavy meal and so went with a cold starter. 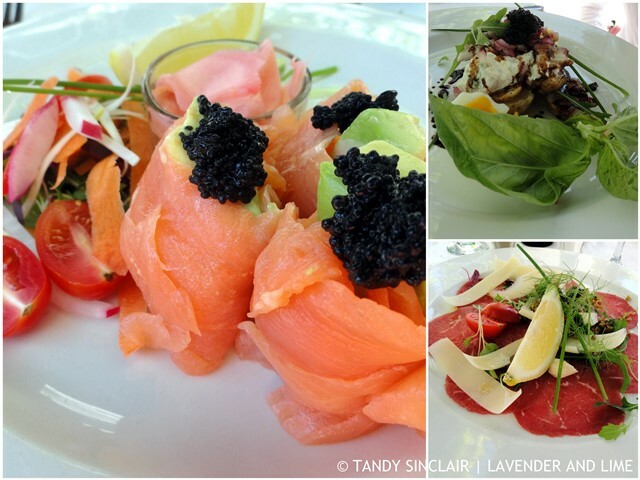 I had the prawn and avocado wrapped in Franschhoek smoked trout (R82) and Dave had the beef carpaccio (R82). Eric and Bev shared the herring to start (R65). For mains Dave had the Norwegian salmon (R160), and I had the chicken fillet wrapped in pancetta (R120). Eric and Bev shared the roast duckling (S.Q.) which was served with a side order of chips. It was a huge portion and more than enough for 2 to share. Thandi had a good sense of humour, knew the menu and had a delightful attitude. She gave us really good service and was there when we needed her. The meals were excellent and we will certainly go back. After too much water I decided to have a Duchess Gin and Tonic. It was a welcome change to note a non-alcoholic option on a drinks menu. Dave and I are on leave. We will be back at work on the 4th of January 2018. Today we are off to Gabrielskloof for lunch. In anticipation I will not be eating a big breakfast. 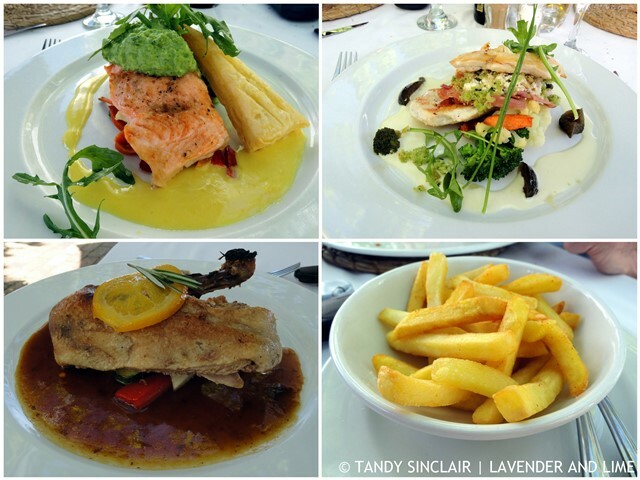 My Husband and I booked into Avontuur Estate Restaurant for a break away from helping pack our Daughter’s apartment up for her move overseas, so we were quite stressed, but once in the Estate all the stress just floated away!! We had to eat inside but if you book early then choose to eat on the vine covered terrace. That being said we had a wonderful lunch served by very friendly waitpersons. The food was excellent and very well presented. Would definitely recommend a visit. Good value for money as well.